As 2014 Congress Queen Carly Kidner’s reign as come to an end, so another begins. 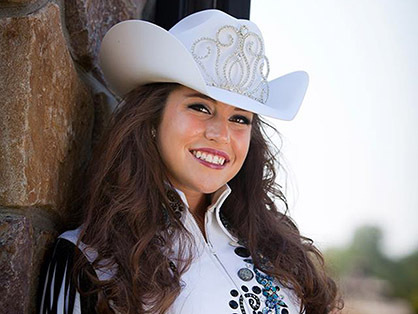 After a long few weeks of Queen competition, the new 2015 Quarter Horse Congress Queen has been named and she is Miss Lauren Harrington of the Western Pennsylvania Quarter Horse Association! This year, 21 young ladies from all over the United States and Canada competed to be named the First Lady of the All American Quarter Horse Congress. The competition consisted of three components: 40% on oral interview, 40% on a written test, and 20% on Horsemanship. The first runner-up and winner of a $2,000 scholarship was Sara Laughlin of the Southern Ohio Quarter Horse Association. The second runner-up and winner of a $1,000 scholarship was Amber Papp of the Indiana Quarter Horse Association. The winner of the Horsemanship competition was Brianna Tamulewicz of the North Carolina Quarter Horse Association. The Written Exam winner was Lauren Harrington. 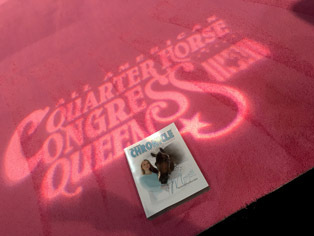 The interview winner was Anne Charlie Riviere of the Quebec Quarter Horse Association. Finally, Miss Congeniality was also Lauren Harrington. Want to know a little more about your new Congress Queen? Lauren Harrington is from Fairview, Pennsylvania where she works as an Irrigation Specialist in her family’s business, Fairview Evergreen Nurseries, on their 3,500 acre farm. She is currently in her last year of college at Edinboro University of Pennsylvania where she is working on a Bachelors Degree in Technical and Business Writing and an Associate’s Degree in Business Administration. 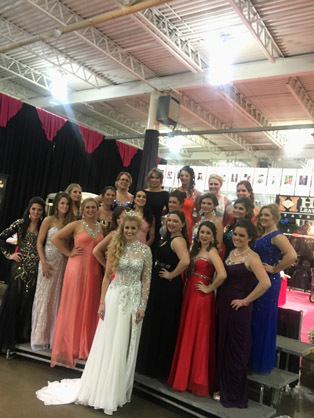 Not only did Lauren receive the coveted title and sparkly crown, she was also presented with a $4,500 scholarship and a two-year lease of a beautiful, black, 2016 Chevy Cruze, courtesy of Coughlin Automotive! Congratulation to all of the Queen contestants this year, especially Lauren Harrington! Click here to find out more about your new Congress Queen!